An undated handout image shows Nazanin Zaghari-Ratcliffe (R) posing for a photograph with her husband Richard and daughter Gabriella (L). Nazanin Zaghari Ratcliffe, the Iranian-British dual citizen who is in jail in Tehran, has been informed by Iranian authorities that she will have a second trial on Dec. 10 on the charge of “spreading propaganda,” her husband Richard Ratcliffe told ABC News. This latest development has dashed her husband's hopes of seeing his wife back in the U.K. anytime soon. It's just one more bump in the road, following comments made by British Foreign Minister Boris Johnson earlier this month that many observers feel jeopardized Nazanin's chance of a release. The 38-year-old mother-of-one has been detained and imprisoned since April 2016, and is now serving a five-year jail sentence on a charge of attempts to topple the Iranian government by training journalists, a charge that she and her family denied. Now, the news of a second trial and the possibility of extending her sentence have worried her and her family. "She was angry and upset," her husband told ABC News Thursday. "To us, court cases have always meant more charges and long sentences." Iranian-British aid worker Nazanin Zaghari-Ratcliffe is seen in an undated photograph handed out by her family. Nazanin, who had come to the U.K. from Iran to pursue her studies, made a second home in London, became a British citizen and married her husband, a British accountant. As a project manager at Thomson Reuters Foundation, Nazanin was in charge of “administrative tasks (and) setting up workshops for journalists. Never in Iran,” Antonio Zappulla, chief operating officer of the foundation told ABC News. "She isn’t a journalist and she never trained a single journalist." In April 2016, when she wanted to leave for Britain with her 22-month-old daughter, Gabriella, she was arrested at the airport in Tehran. The pair were on the way back home after a two-week visit to the country for the Iranian New Year. Gabriella’s British passport was confiscated, and she has been living with her grandmother since then. In September 2016, Nazanin was sentenced to five years in prison on the charge of attempting to topple the Iranian government by training journalists. Richard Ratcliffe (R), husband of Iran detainee Nazanin Zagari-Racliffe holds a press conference in London, Nov. 15, 2017. According to Mizan, the official news agency of Iran’s judiciary, Nazanin’s first arrest was related to her activities as a member of an “illegal team” who used to promote propaganda to “damage Iran’s national security” back in 2009 in the riots after the 10th presidential election in Iran. Charges included “teaching journalists how to use pseudo-emails, make long complicated passwords and how to use encrypting programs,” said Tehran Prosecutor Abbas Jafari Dolatabadi, according to an Oct. 17 report from the Iranian semi-official Mehr News Agency. 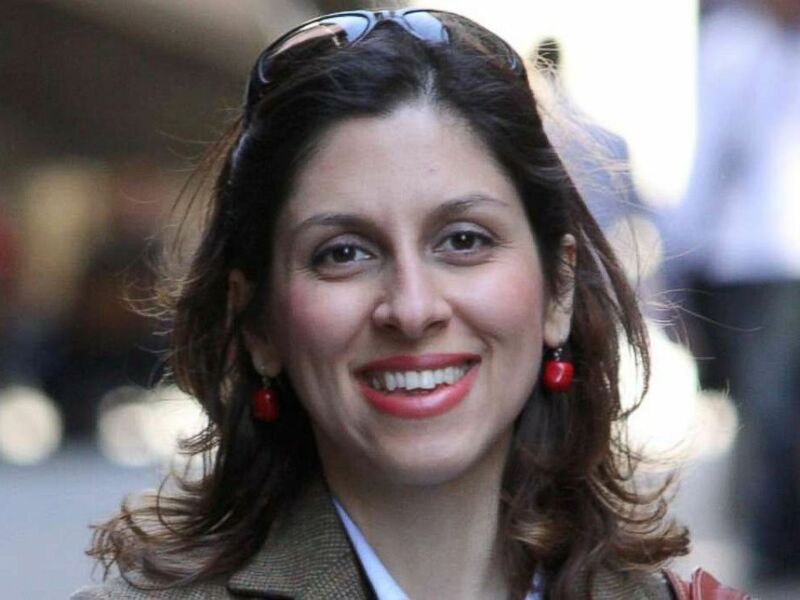 However, on Nov. 1, the case came on the spotlight again when British Foreign Minister Johnson surprised everyone at the House of Commons by saying that Nazanin has been teaching journalism in Iran. "She was simply teaching people journalism, as I understand it, at the very limit," Johnson said. Johnson’s statements angered Nazanin and her family and the public minds in the U.K., as it could be dangerous to her case. Iranian state TV called Johnson’s statements “confessions” revealing Nazanin’s real intention of her visits to Iran. While her final sentence had been issued and she was serving her term, she was summoned to another court session and threatened of increasing her imprisonment. It led to pressures against Johnson to resign for the risk of increasing Nazanin’s imprisonment. However, Richard Ratcliffe disagreed that his resignation could help his wife’s case. 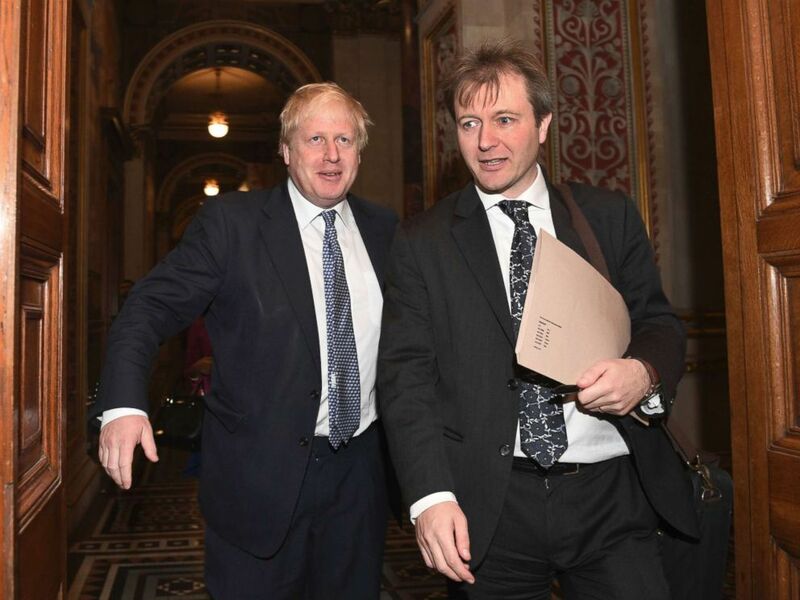 Instead, he met with the minister for the first time after his wife’s arrest and asked Johnson to take him to Iran in his planned diplomatic visit to Tehran before the end of the New Year. “I hope I can join the minister in this visit and I hope I can have my wife in the seat next to me on the way back,” Richard told ABC News, before hearing the news of the second trial yesterday. But that hope is gone now, he told ABC News, after hearing the news of the second trial.